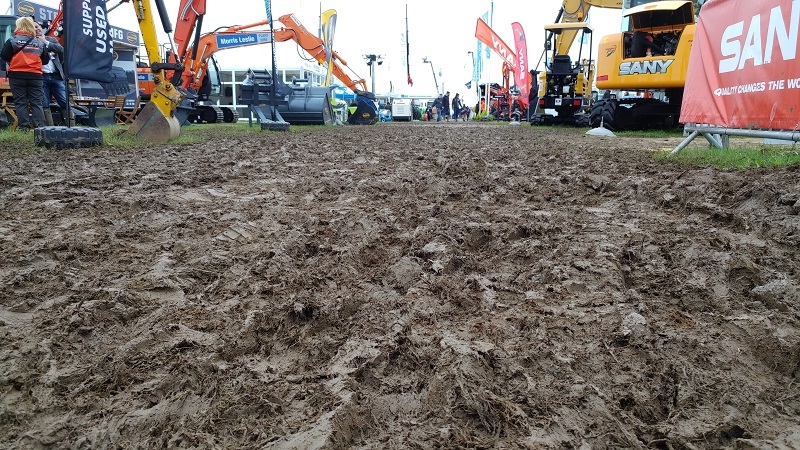 It was mud glorious mud at this year’s Plantworx event as Bruntingthorpe Proving Ground, Leicestershire, became a mud bath due to relentless heavy downpours. 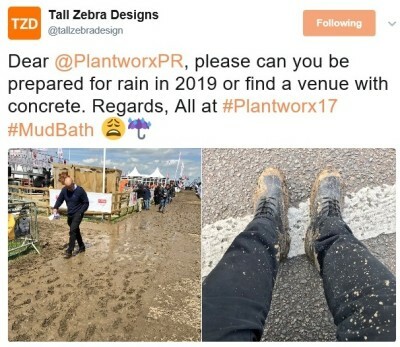 This was a shame, as Plantworx is a fantastic event; surely the UK’s premier showcase for construction professionals interested in construction, equipment, plant, tools and services. 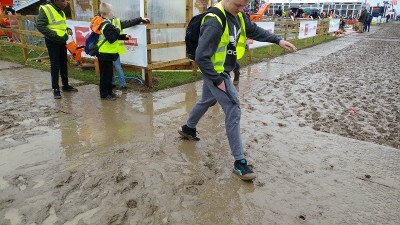 The event, however, will be remembered for the wrong reasons as attendees struggled to overcome the misery of the muddy, slippery conditions. 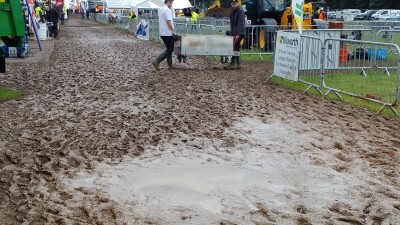 The grass fields turned to thick mud very quickly following the heavy rainfall. This made even the simplest of tasks, like walking, a treacherous and difficult experience. 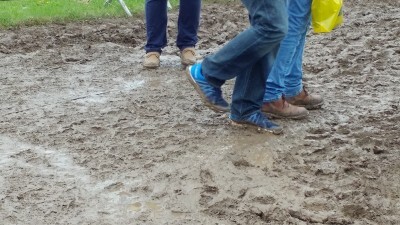 Those sensible enough to bring wellies fared slightly better than those that didn’t. But everyone seemed to suffer. 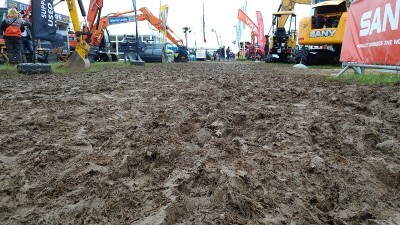 The aisles between stalls were just brown rivers of mud. Demonstration vehicles struggled and both exhibitors and the general public alike failed to cope. At times the frustrations boiled over. 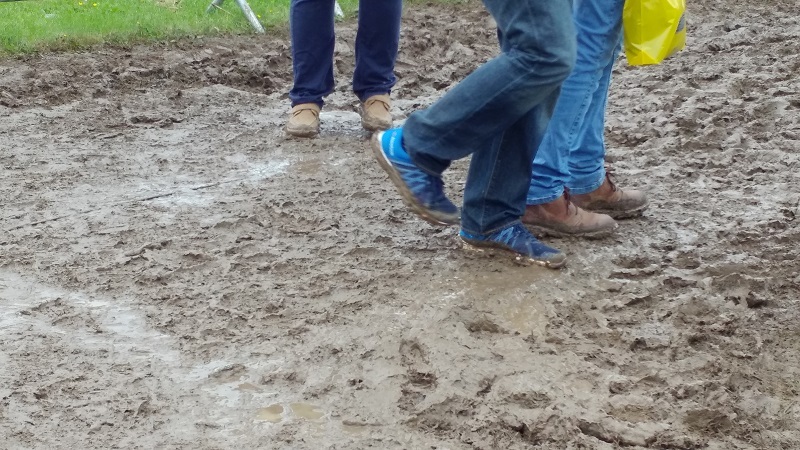 Social media hashtags such as #MudBath started trending as the complaints came in. What a shame…. Of course, combating slippery conditions and making the ground safe for pedestrians and vehicles is Ground-Guards’ bread and butter. 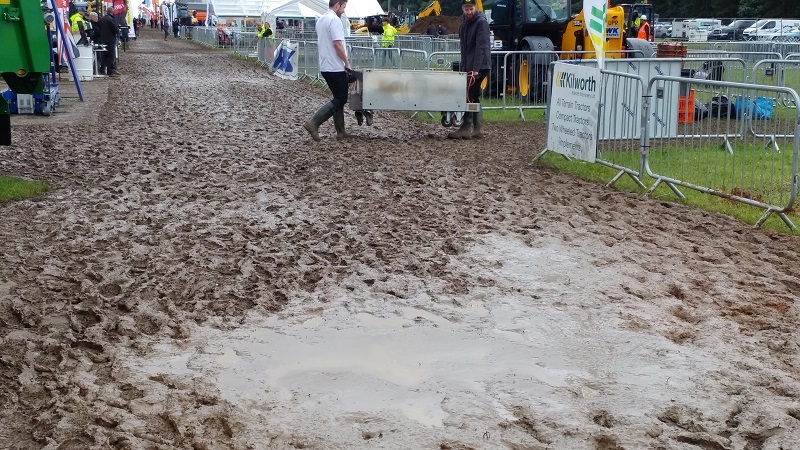 We helped out where we could by supplying other exhibitors with MaxiTrack and MultiTrack mats to lay over the mud. This immediately helped turn the wet muddy stalls into safe, high traction areas. We had lots of positive comments from visitors and exhibitors about how useful our mats are and how the entire event should have been kitted out in this way. In these unfortunate conditions (you can never trust the British weather!) it always pays to be prepared. 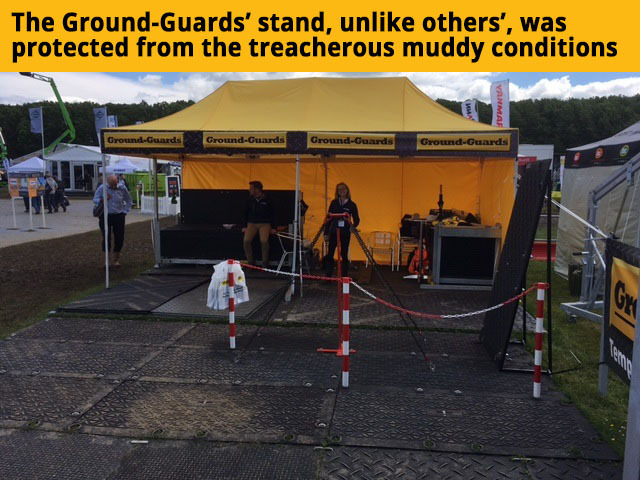 The consideration of adequate ground protection is an absolute must for all event organisers who don’t want to risk the reputation of their company and the safety of their attendees. Ground-Guards’ ground mats can be purchased or hired, and we have a range of solutions that cater for all budgets and applications. So the message is clear: if you don’t want your event to be remembered for all the ‘wrong’ reasons, make sure that you have adequate ground protection in place. Don’t leave it to chance. Be prepared. Be safe. Keep everyone happy.